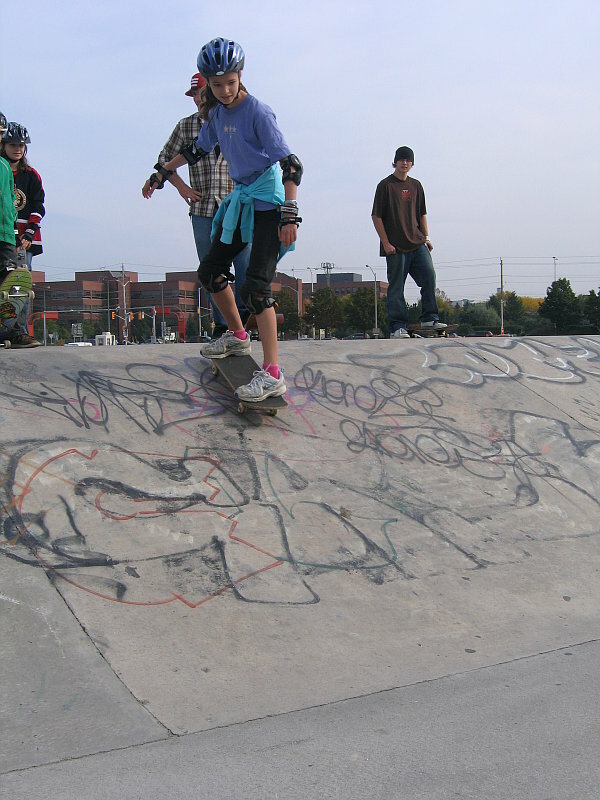 Group of Four spent the last two sessions together working on their skateboarding skills. When we first decided to schedule this unit I must admit I was apprehensive. I wanted it for B7’s sake; he is very keen to improve, but I just didn’t know how it would pan out. I wasn’t sure that the non-skaters would be happy and I had no idea who would do the instructing. I needn’t have worried. The mother of three boys was in charge and she did a fabulous job. 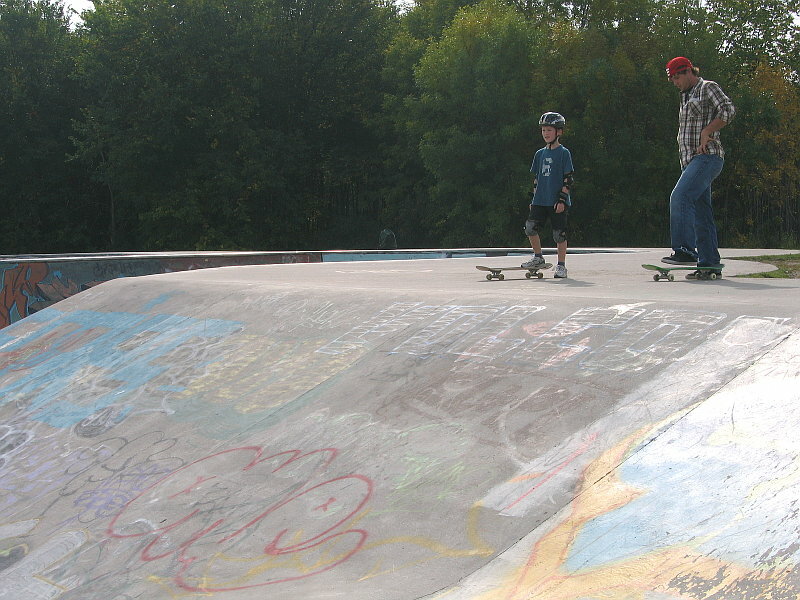 We met at a local skate park and spent the first hour of each session learning the physics. She took us through Newton’s laws of motion, using the skateboards whenever possible. During the second hour she had invited Kevin, a skateboarder with a passion for encouraging children and inspiring confidence. 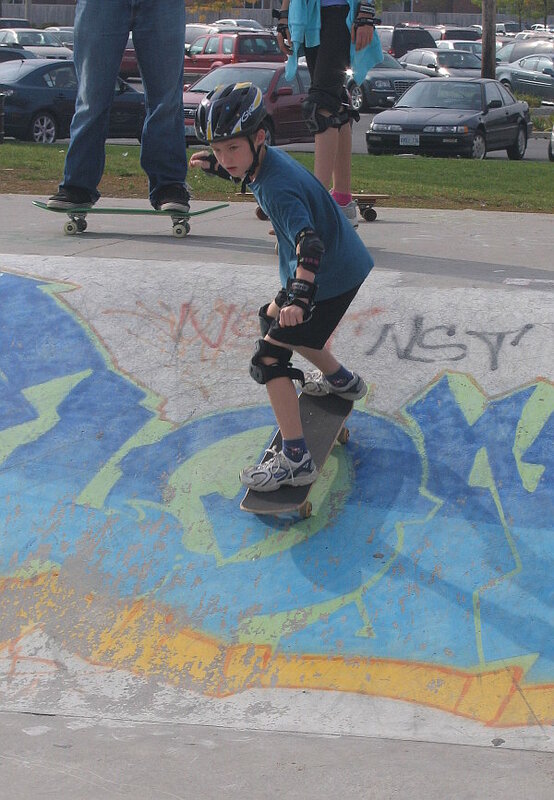 He spent some time teaching everyone about the parts of the skateboards and took them through some basic maneuvers before encouraging them to try the ramps. There were gentle slopes and steeper slopes and Kevin was there to guide, instruct, even hold their hands if they wanted. I was amazed at the progress B7 made in the first week. 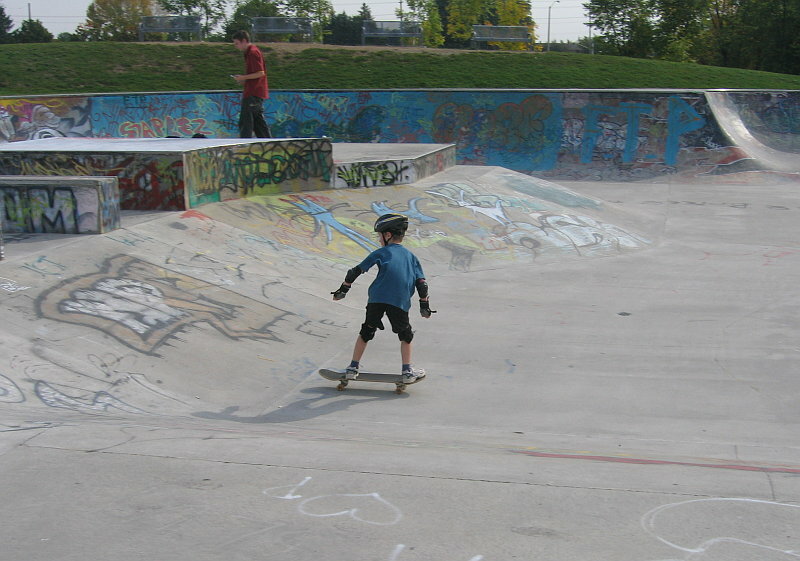 He took the low ramp with no problems and then with some initial help mastered the second ramp. When we returned the second week he considered the steepest ramp. Kevin encouraged and advised him. I held my breath and he did it. Again and again. He wiped out and got back up again and did it again. 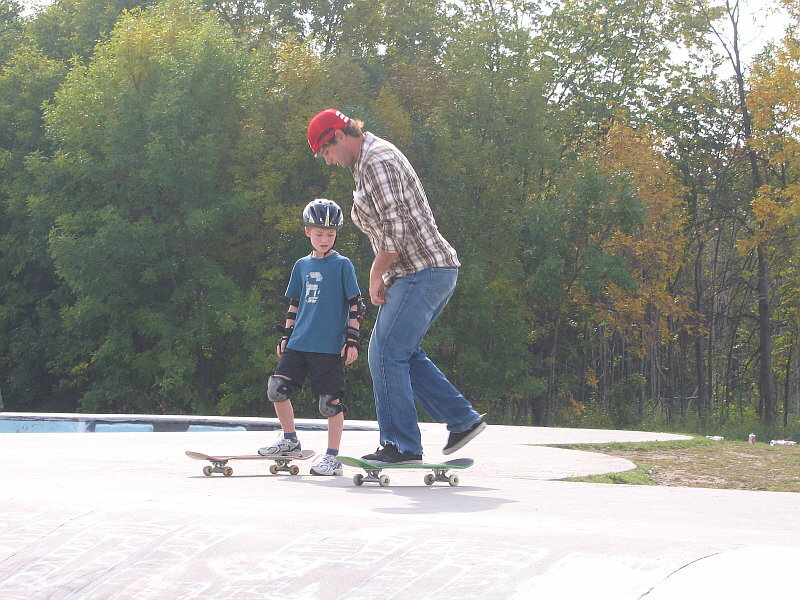 This entry was posted in Homeschooling, Sport on September 30, 2008 by Heather. How cool! My second son would have loved this. Maybe if I had done something like this for him he might have learned to enjoy school a bit. Now I’m jealous. If I didn’t need to consider that my parents might be reading, you’d be contenders for coolest parents ever. that looks like such a lot of fun! and well done ben!